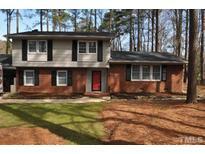 Below you can view all the homes for sale in the Greenwood Forest subdivision located in Cary North Carolina. Listings in Greenwood Forest are updated daily from data we receive from the Raleigh multiple listing service. To learn more about any of these homes or to receive custom notifications when a new property is listed for sale in Greenwood Forest, give us a call at 919-634-6501. The Large DECK backs to PRIVATE, WOODED Setting! PRIME Cary Location! MLS#2249304. 1710. No HOA! 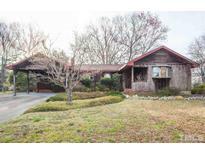 Close to area parks, greenways. MLS#2249388. 1710. Welcome home. 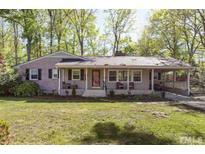 Total sq ft - 2,502 MLS#2243571. 4542. Tucked away on a quiet cul-de-sac .49 acre lot this home boasts a huge (20 X 16) 3 season room, new roof, new windows, new paint, less than 2 year old water heater, updated bathrooms, and all of the shopping, parks, and dining that the Town of Cary has to offer. MLS#2235628. 2582. No HOA. Home sold "as is". MLS#2237938. 4981. 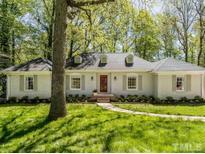 Seller offering a $2,500 allowance towards landscaping, closing costs, or use of buyer's choice... welcome home! MLS#2233255. 3367.